A key tenant of minimal design is a neutral palette. (This keeps a space visually peaceful.) 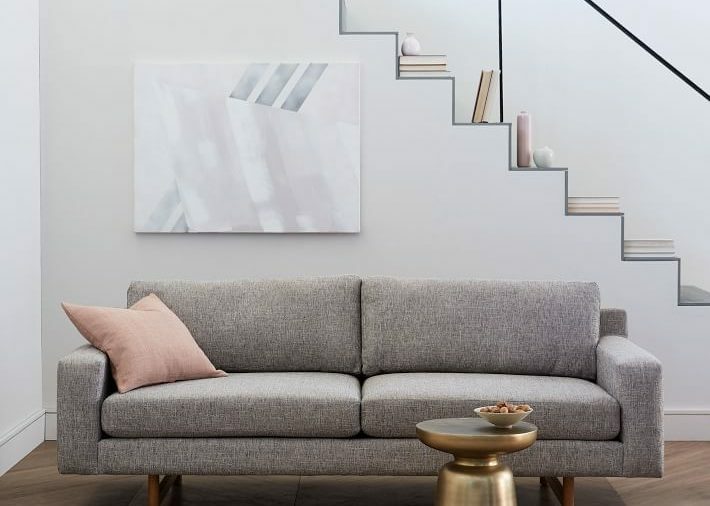 Choose key furniture pieces like couches in hues of ecru or gray. Minimalist rule #1: Keep it simple. 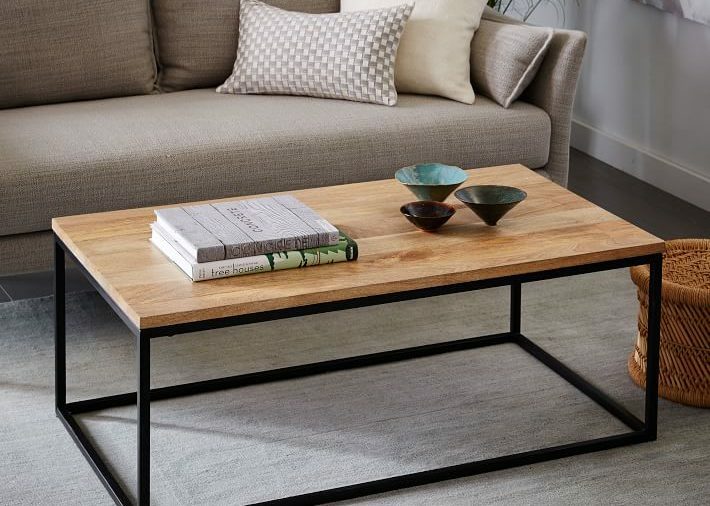 This coffee table serves its purpose (a platform for books, magazines, coffee mugs), while the slim profile frame design is visually spare. 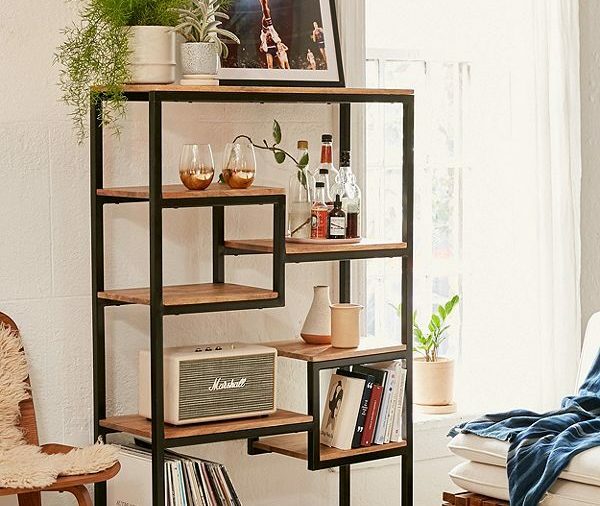 A backless shelf unit serves as a stage for books and decorative objects without dramatically interrupting white walls. The clean lines of this design nod to the modern quality of the minimalist aesthetic. 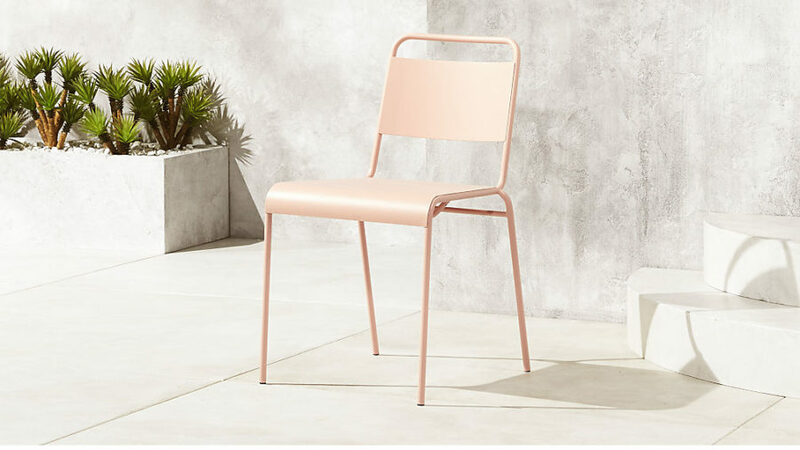 Choose stackable dining chairs with a simple silhouette. A warm neutral color—like this matte dusty pink—quietly brightens up a space. Bonus: These chairs are outdoor safe. 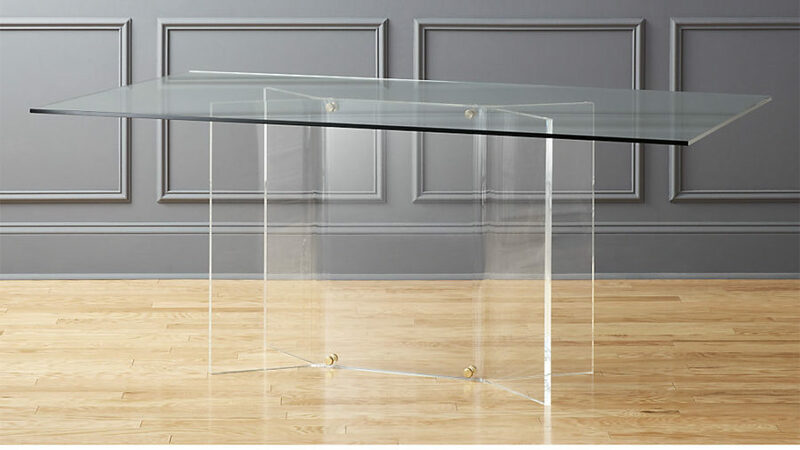 Glass and acrylic furniture and accessories are the pinnacle of minimal design. Ghost-like, this dining table's sculptural form let the materials take center stage. Ditch the headboard in favor of minimalist style in the bedroom. 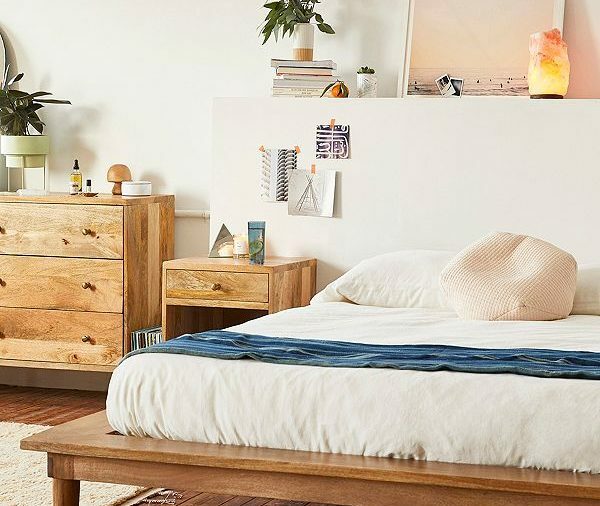 A simple wood platform bed (this beauty is solid mango wood) plus a mattress and crisp white sheets are the perfect recipe for rest. Love minimal design but lack storage closets to keep your stuff out of sight? 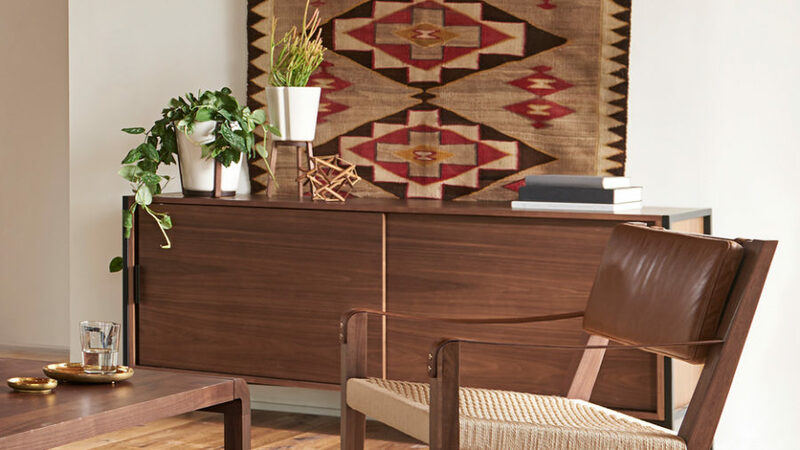 A media console with concealed shelving lets you wrangle it all behind closed doors. 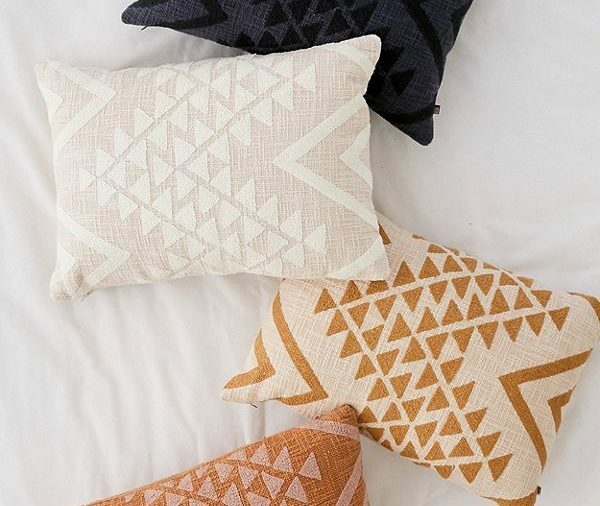 Relax in style with monochromatic patterned pillows. The design of these beauties adds geographic texture to a couch, side chair, or bed without making a loud statement. 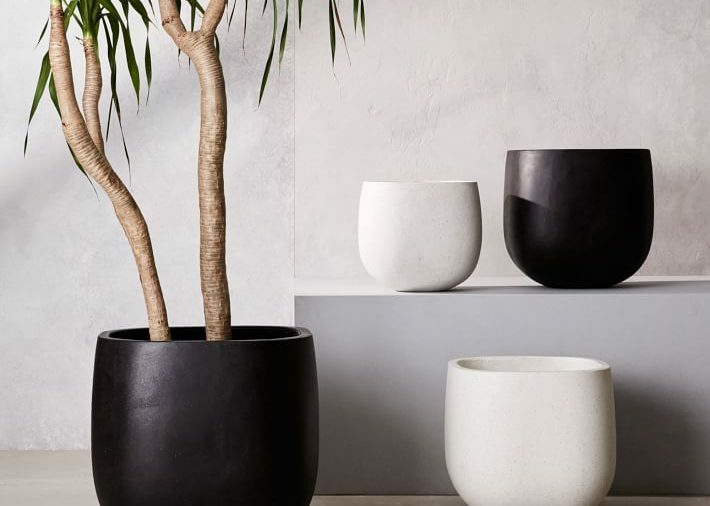 Solid white or black planters in simple shapes let your houseplants serve as living art. These indoor-outdoor containers are made of light cement. 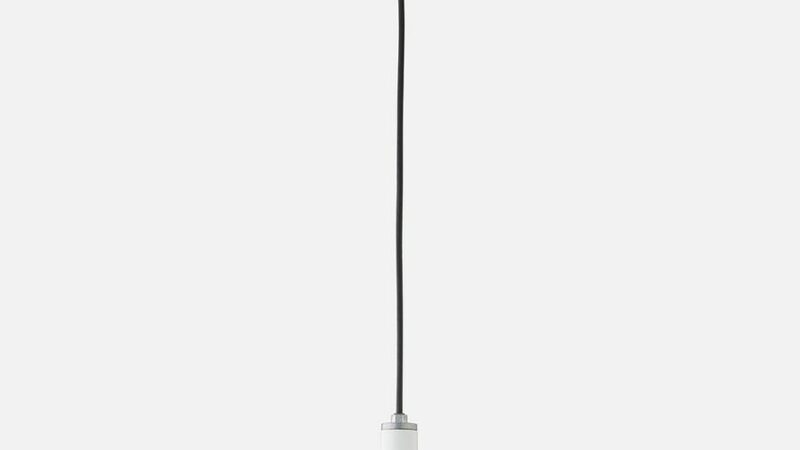 The simplest lighting option? A bulb. Illuminate a bedside area without the bulk—or design decision—of a lamp base, lamp shade, or fixture.